Going to the extent of suggesting that children should be allowed to mess with the cooking and connect emotionally with the food they eat, well-known Chef Manjit Gill feels it is important to “understand our food”. “We all have to understand our food first. We have to communicate with our food. We must have proper understanding of the goodness of our food. This is very important,” Gill, the founder-president of the Indian Federation of Culinary Associations and chairman of the World Cultural Culinary Heritage Committee (Worldchefs), told IANS in an interview. Gill, who is busy with the preparations of the World Heritage Cuisine Summit & Food Festival 2018 (in which chefs from 40 countries are expected to participate) being held at the historic Gobindgarh Fort in Amritsar from October 12 to 14, says that Indian food is culturally rich even though there has been little effort get it into a “structured and scientific” format. 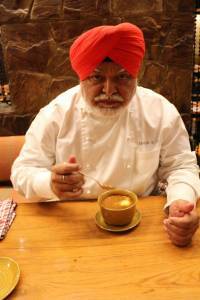 “In India, we don’t have education on culinary skills. So far, we have only hotel management institutes where everything about the hospitality industry is taught. For the first time now, we have set up the Indian Culinary Institute (in Noida near Delhi) to teach specialised culinary skills to students,” Gill, who is the Food Consultant for the ITC Hotels and board member of the Institute of Hotel Management (Pusa), said. “We do not have proper textbooks to teach about our Indian food. There is no terminology for Indian food. Our institutes are teaching only Westernised food. For example, no one even teaches you how to make a basic thing like “paneer” (cottage cheese) in a scientific and structured way,” he pointed out. Gill agreed that many restaurants are using too much oil and ghee in the name of tasty Indian food. “The restaurant culture in India is about 40-50 years old. If you put more fat (oil/ghee), you end up cooking carelessly. The balance of six tastes has to be maintained in good food,” he added. Born in a Sikh family from Delhi, Chef Gill made it to being among the top-rated chefs starting from very humble beginnings. His family situation was such that his father, Tara Singh, a lawyer and former prisoner of war (PoW), had to agree to keep his children, including Gill, completely vegetarian so that they could study in a school run by Jain missionaries. 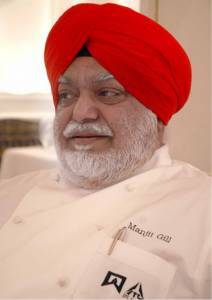 Starting as a Sous Chef at the ITC’s Maurya Sheraton (now Hotel Maurya) in New Delhi in the mid-1970s, Gill was part of the team that took the restaurants there to popular heights in the 1980s and 1990s.